We present to you a Template specially designed for Joomla 3.3. The template is universal and allows with it's help multiple individual projects to be developed. 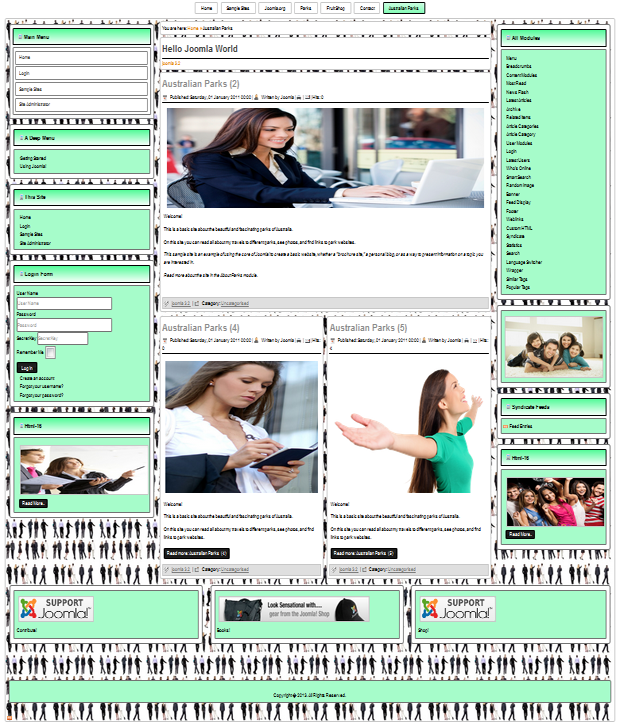 With this template you can create web sites with different types of information - News, sports, bodybuilding , healthy living, kids, school , photography, engeneering , transport , medicine and many more. 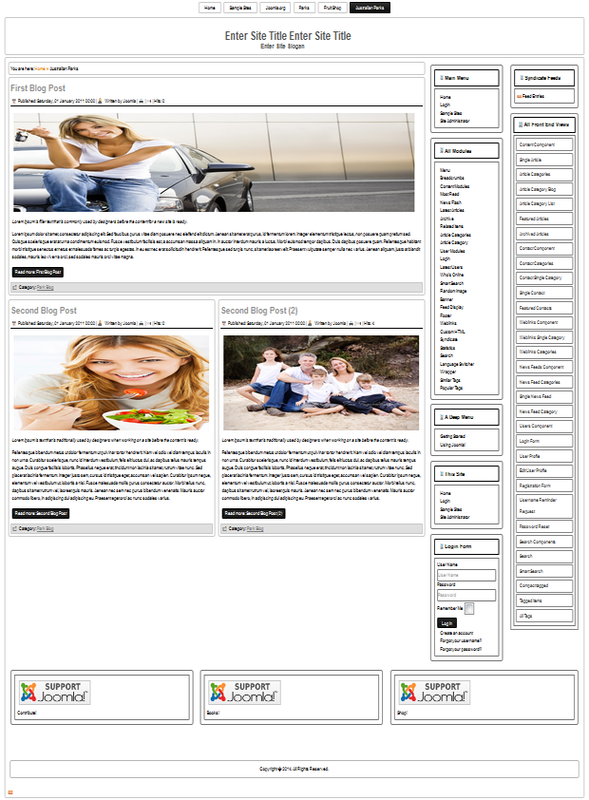 Template with responsive layout for Joomla 3.3. The template allows your Joomla website to be equally good on PC's, laptops, tablets and netbooks, as well as mobile devices - smartphones, iphones, windows phones. The standart look of the template automatically recognises and adapts to the device your website has been logged on from. This means that it doesn't matter whether the device screen is with 620px resolution or 1920px. Every module position that has some kind of information-text, images , menu's are visible for the user. If the resolution of the mobile device is lower than 620px the side columns will be hidden from the user. The horizontal menu for navigation is going to transform into a Drop-down menu with one button. For the user to go to a page from the website, he has to click on the icon and then he is going to see all the hyperlink from the menu. 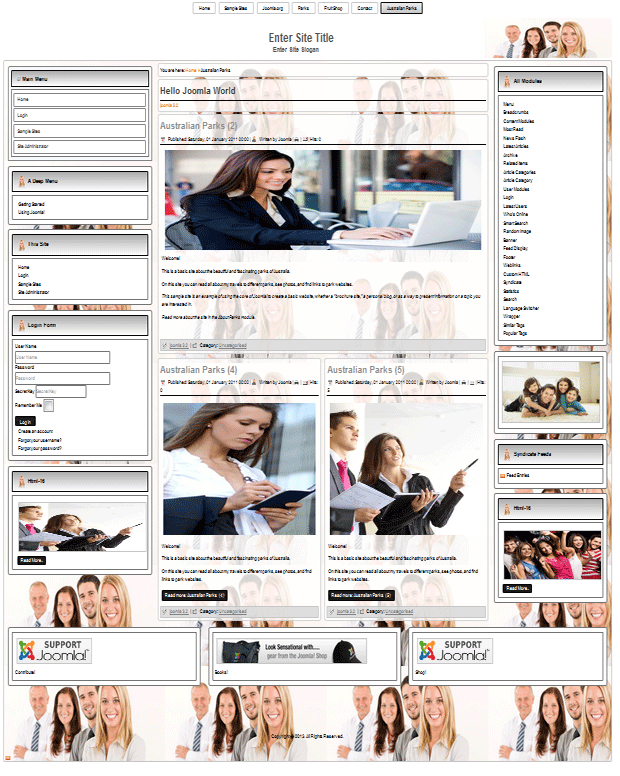 NB: The templates for articles are designed for Joomla templates only from this website. The template has 71 module positions which offer you a big variaty of opportunities to put adds, text, photographs, registration forms, news and much more. You can put only specific information for most of the module positions. The position is on the left side of the vertical menu. You can add several different menu's. With the template you have the oportunity to use 15 module positions, which are located on the top of the site. The positions are visible only when they have input information. If there is no information the module positions will not be visible. In this part of the template there are 4 module positions. For your specific needs you can add in them - Logo, moto, pictures, text, adds, search form. For your needs you may use 3 or 4 module positions on the different menu's. For example for the menu "Home" you can use 3 positions. For the menu "User menu" you can use 4 positions. The templates has an option for changing the look of the vertical menu. This is done with changing module class suffix. You can read how to do this here. Demo with module class suffix "art-vmenu"
We hope with all theese options for the template, specifically designed for Joomla 3.3 to achieve the best result for your website. We have tried to cover all of your needs when creating the template, but if you have something different in mind you can send us what you want here. We are going to try and develop your idea. The template is designed for Joomla 3.3, but can be used on older versions-Joomla 3.2, Joomla 3.1, Joomla 3.0 and Joomla 2.5.